This article was written by Catherine Iste, the CEO of Humint Advisors, and originally appeared on MultiBriefs.com. We are constantly looking for ways to streamline our hiring processes while ensuring we only bring the best and brightest stars into our organizations. Yet, despite brilliant applicant tracking systems, targeted job announcements and thorough background screening services, we tend to rely heavily on the interview and our feeling about the candidate during and after the meeting. But our feelings are not the most objective way to make a hiring decision. Instead, to truly find the best candidates, try adding these three questions to the interview. 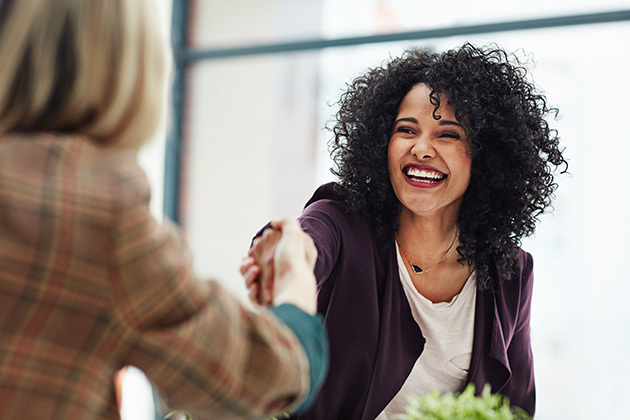 Most interviews start with some form of introduction questions like: “Tell us about yourself and why you want this job.” To avoid responses that contain unwanted personal information or canned replies, try rephrasing the question to get a more targeted answer. For example: What are the three most important responsibilities of this position, and what type of experience do you think the ideal candidate should possess? Rephrasing the first question in this manner allows the candidate to explain her understanding of the job. It also forces her to think about the ideal candidate for the position and gives her the opportunity to highlight her own experiences. Yellow flags show up quickly. If the candidate does not have a clear grasp of the job posting or the link between experience and the essential responsibilities of the job, it will be apparent right away. Further, and often to the interviewer’s surprise, the candidate will discuss the essential experiences and either not have any of them or sometimes point out she lacks the experience. We all have biases. And we all know a diverse workforce adds additional dimensions of perspective and creativity. Yet forcing questions into the interview process to try to add diversity does not necessarily help uncover our unconscious bias. Is there something intangible about this candidate that propels her to the top or bottom of the list? Why does or doesn’t she feel like a good fit? Does she remind you of any previous co-workers? If so, how? By taking just a few minutes immediately after the interview to address and ideally add some definition around any gut feelings, we can go far in reducing subjective and potentially biased decision-making. Before interviews, most candidates and interviewers have Googled each other, skimmed social media or checked out LinkedIn. Note that and ask the candidate what the most interesting thing was that she found when researching the organization or its employees. Her answer will highlight the extent of her research as well as the depth and breadth of her connections within the organization or industry. As leaders, we all want candidates who think our organization is amazing, want to work there and have been waiting for such a perfect opportunity. While savvy candidates are prepared to tell us what we want to hear, those who really want the job will go the extra mile to uncover and understand our unique approach, challenges or idiosyncrasies — and in the interview can directly link that knowledge to their own differentiators. Thus, to make the most of the interview, account for our individual subjectivity and dive deep quickly with savvy applicants, add these three questions the next time you speak with any candidate.